To many Colombians, their country is poised for an incredible transformation. Colombia’s reputation internationally has long been marked by civil war and cocaine production. However, a 2016 peace accord between the government and the nation’s largest guerrilla army (FARC) offers hope not just for the resolution of real internal conflict, but for a shift in global attention as well. With improved security, many Colombians envision a country that can be famous not for its conflicts, but for its vast biodiversity, potential for ecotourism, and opportunity for new scientific exploration. 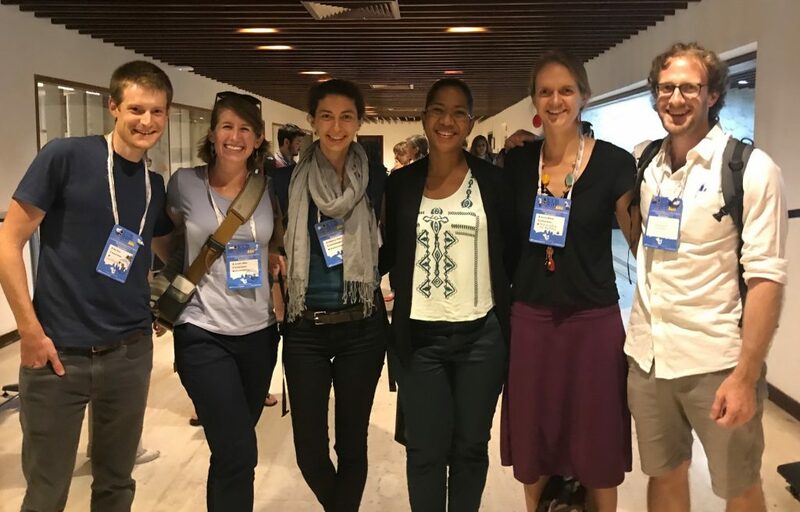 It was amid this transformative moment that the International Congress for Conservation Biology (ICCB) docked in Colombia’s Caribbean port city of Cartagena for the last week of July. 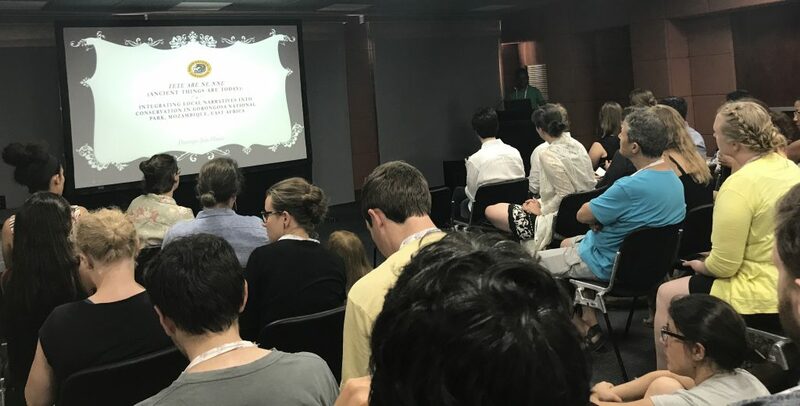 The Congress, attended by academics and practitioners from around the world, covered an impressive range of topics, from new uses for agent-based modeling to strategies for diversifying the conservation community. 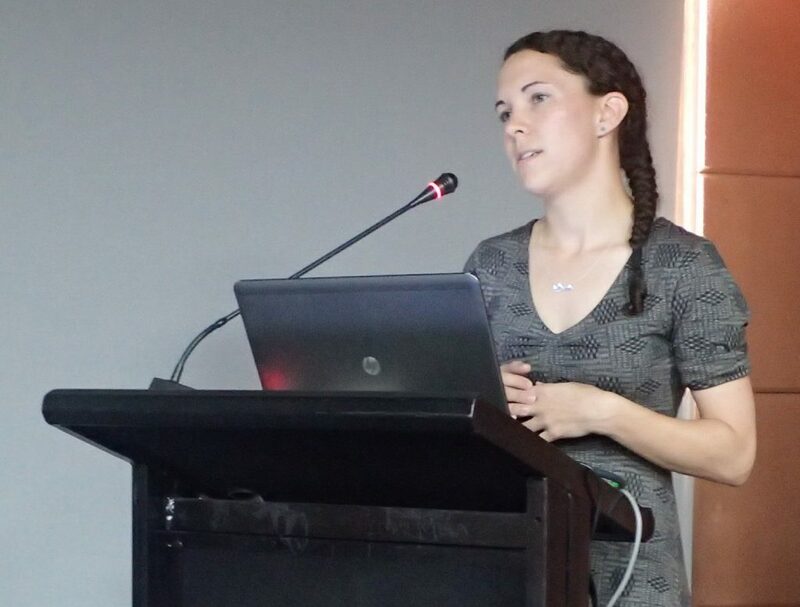 Many sessions focused specifically on the host country’s particular conservation challenges and opportunities. How can we use storytelling for more effective conservation? What can listening to the stories of others offer to conservation? The Brashares Group settled on this topic in the context of a year of global political upheavals that many have claimed relied on stories rather than reality to achieve their successes. The Oxford English Dictionary went as far as declaring “post-truth” the word of the year in 2016. Our symposium explored what it meant to study and practice conservation in a world in which stories have so much power. 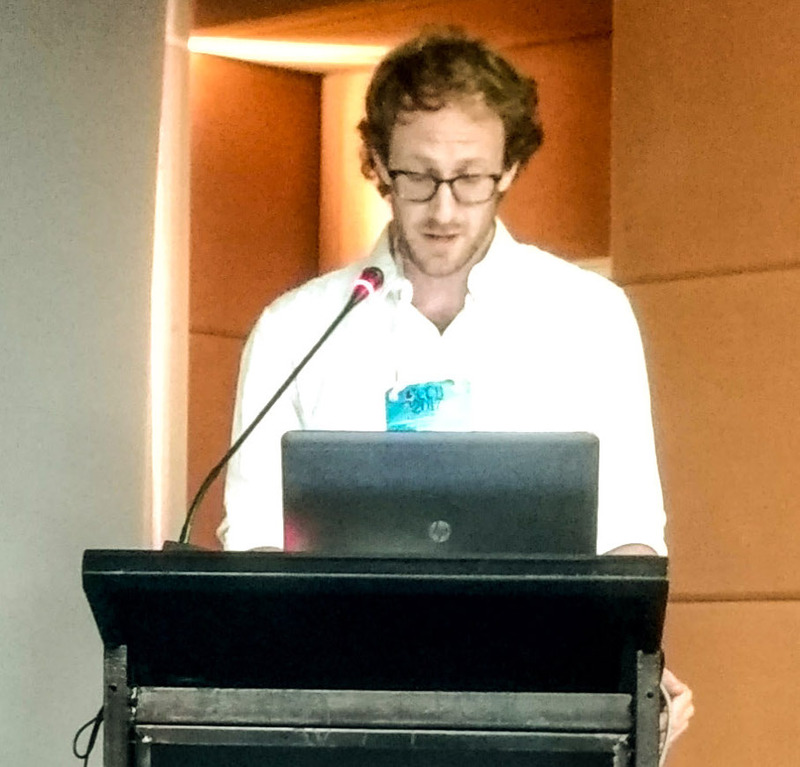 Not willing to give into the doom and gloom, though, our six presenters also sought redeeming uses of stories that would help improve our understanding of our conservation goals and our means for achieving them. Above: Kira Cassidy and Alex McInturff. Kira Cassidy, of the Yellowstone Wolf project, and Alex McInturff, of the Brashares Group, argued that conservation, as a crisis discipline, and ecology, filled with exciting characters and high drama, are sciences particularly suited to absorbing stories. “Storytelling is our superpower,” Cassidy argued, while McInturff argued that stories have the dual abilities to make our messages simple and digestible, while also giving us access to a world of symbols and narrative truths that characterize much of our lives and politics. 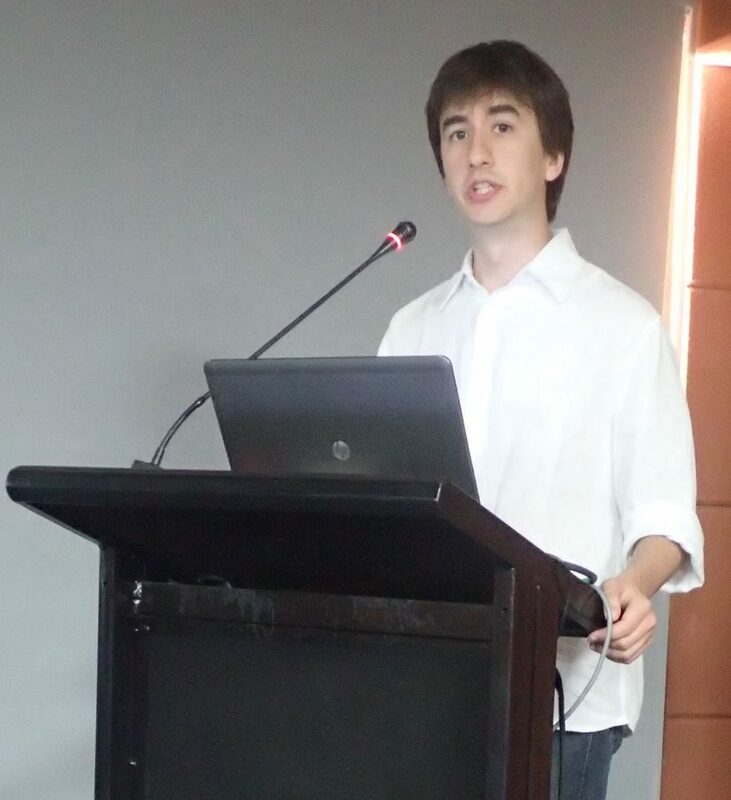 Stefano Wrobleski, of InfoAmazonia.org, showed us the human side of “big data,” by illustrating how we can make compelling visual stories out of the masses of data collected around the world today. Clever and attractive spatial overlays weave new stories – and also save lives. Dr. Carlos Rodriguéz of Tropenbos International Colombia, and Domingos Muala of Gorongosa National Park, in central Mozambique, drew from their experiences on different sides of the planet listening to stories. In the Colombian Amazon, Rodríguez has spent decades learning from shamans about their relationships with the world around them and sharing these stories – and the stunning visuals members of these same indigenous communities have made to tell their stories to the outside world. In Gorongosa, Muala works with the communities surrounding the park integrate local stories into park practice. The stories these individuals have shared with Muala, such as of their relationships with their totem animals, have been published in his book, Tales from Gorongosa. 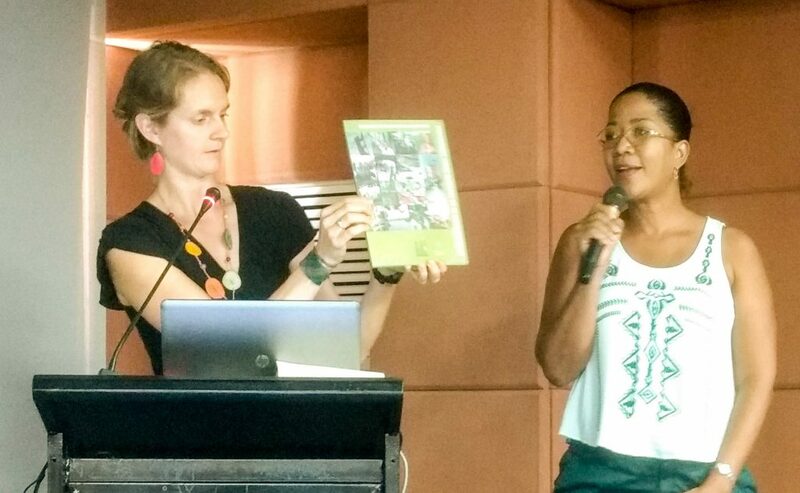 Everildys Córdoba, the general coordinator of the community of COCOMASUR in northwestern Colombia, closed out the symposium with an important message: we must not only listen to stories, but also support local communities in producing and telling those stories themselves. This process can strengthen communities, build pride in their collective efforts around conservation, and enable them to share their experiences with others interested in similar initiatives. The case study of her community’s experience with REDD+ is available on COCOMASUR’s website. 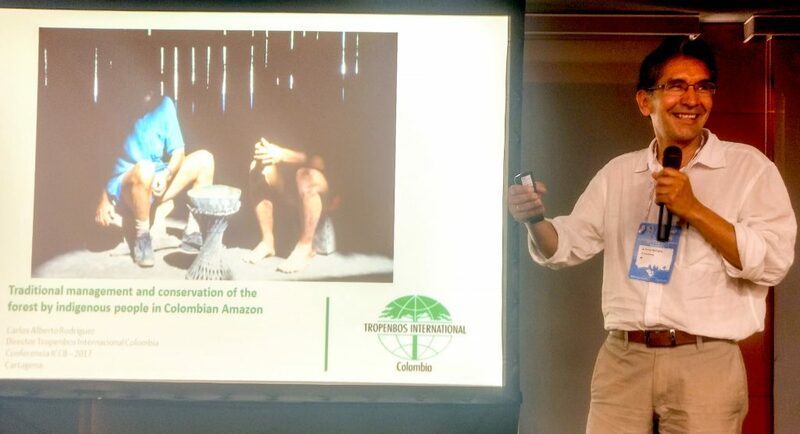 What might our symposium in Cartagena tell us about storytelling for conservation in Colombia today? The most obvious storyline is one oft told today of Colombia as a land still little explored by “modern science”: a leader of Colombia’s national parks explained, for example, that a new species is “discovered” every time an expedition goes out in the Pacific and Amazonian regions. If we are willing to listen, though, we will also hear the stories of those who have vast, detailed maps of these “unexplored” lands in their minds and hearts, who have intimate knowledge of and close relationships with their flora, fauna, and spirits, and who surely have their own ideas about the future of these lands. And while scientists from around the world are understandably excited to work in Colombia in an improving security context, conservation would benefit greatly by encouraging and supporting Colombians from across the country – equally rich in human diversity – to develop and tell their own stories. Above: Brashares Lab group members and affiliates with workshop speaker Everildys Córdoba. Left to right: Paul Elson, Jennie Miller, Katherine Siegel, Everildys Córdoba, Lauren Withey, Alex McInturff.